So, Wikileaks tells us that Arab nations don’t like Iran very much. That Qadhafi likes blondes. That Putin and Berlusconi don’t mind stacking up some green together. There is more serious stuff there too, of course, (e.g. Red Crescent gun running; North Korea/Iran putting the ballistic missile evil in that “axis of evil” stuff) and no doubt, more to come. I’m hearing the arguments we all could predict. Larry Sanger, one of the founders of Wikipedia, has written of his view that the global dump of diplomatic secrets is (a) dangerous to individual lives and to teh project of making sound policy in a dangeraous works (b) so indiscriminate that it can’t be seen as attempt to bring transparency on specific government misdeeds being covered up. Rather, Sanger argues, this is what enemies of the United States do, in what seems to him to be a transparant assault on US capacity to do anything for good in the world. I don’t recognize what Wikileaks is doing here as some righteous act of government transparency. It’s more like an attack, albeit one with consequences which can easily be overstated. Me — I think “attack” is one of those words that’s easier to write than to defend. My impression, supported by only one quick conversation with someone with actual experience in the national security apparatus, is that this is less an attack than relatively harmless vandalism — but that’s not a position I can defend with any vigor. I just don’t know. …Some suspect as many as a trillion pages are classified (200 Libraries of Congress). That may be too many. 2001, for example, saw 33 million classification actions; assuming (with the experts) that there are roughly 10 pages per action, that would mean roughly 330 million pages were classified last year (about three times as many pages are now being classified as declassified). So the U.S. added a net 250 million classified pages last year. By comparison, the entire system of Harvard libraries—over a hundred of them—added about 220,000 volumes (about sixty million pages, a number not far from the acquisition rate at other comparably massive universal depositories such as the Library of Congress, the British Museum, or the New York Public Library). Contemplate these numbers: about five times as many pages are being added to the classified universe than are being brought to the storehouses of human learning including all the books and journals on any subject in any language collected in the largest repositories on the planet. …Just over 4000 for the whole of the United States—who bear the title of Original Classifiers. Only this initiated cadre can transform a document, idea, picture, shape, or device into the modal categories Top Secret, Secret, or Confidential. And of these 4132 or so Original Classifiers, only 999 (as of 2001) are authorized to stamp a document into the category Top Secret. Those few people are the unmoved prime movers of the classified world—it is they who begin the tagging process that winds its way down the chain of derivative classification. For every document that subsequently refers to information in those originally classified gains the highest classification of the documents cited in it. Like the radio-tagging of a genetic mutant, the classified information bears its mark through all the subsequent generations of work issuing from it. More numbers: in 2001 there were 260,678 original classifications (acts that designated a body of work classified) and 32,760,209 derivative ones. A cascade of classification. …a universe so obsessed with concealment and conspiracy, with government and corporate monopoly control of information, that the causal structure and even the raw sequence of events hovered perpetually out of reach…Secret societies with private communication desperately tried to counter the monopoly on information—Pynchon’s world crawls with disaffected engineers trying to patent Maxwell’s demon, would-be suicides, and isolated lovers all seeking to break the out-of-control monopoly of knowledge transmission. Galison has a number of targets in this piece. But the biggest one, or at least that which resonated now as I read this essay again, is that once you set out down a road where each unknowable fact needs its hedge of other secrets to preserve the original wall of ignorance and so on…you end up in a position where it becomes impossible for the governed to give informed consent to their governors. There is the obvious problem, of course: bits of knowledge that disappear into the nothingness of the security apparatus, not because of any danger they pose, but because they impinge on the autonomy of the state. Things that if we knew them we’d react badly to, the sweetheart deals or the unobservered f**k ups that it’s just easier (for some) if hoi polloi don’t know. In the end, however, the broadest problem is not merely that of the weapons laboratory, industry, or the university. It is that, if pressed too hard and too deeply, secrecy, measured in the staggering units of Libraries of Congress, is a threat to democracy. And that is not a problem to be resolved by an automated Original Classifier or declassifier. It is political at every scale from attempts to excise a single critical idea to the vain efforts to remove whole domains of knowledge. That’s right, if unsatisfying. I see no sign that things will change soon; the national security state has too many layers of justification (many classified, of course, but trust us….) to suggest that the ratio of classification to declassification is going to change anytime soon. Which, by the long road home, leads to Wikileaks. I understand the view that unfiltered dumps of classified documents about anything can be reckless, or worse. But at the same time if Wikileaks did not exist, it would be invented. When we make more secrets than knowledge we can share, that ever-growing Fort Knox of unknowing will inevitably draw its safe crackers. And if we are horrified when those crackers actually steal something we care about, we might want to look again at how we decide how much we think it wise not to know ourselves. 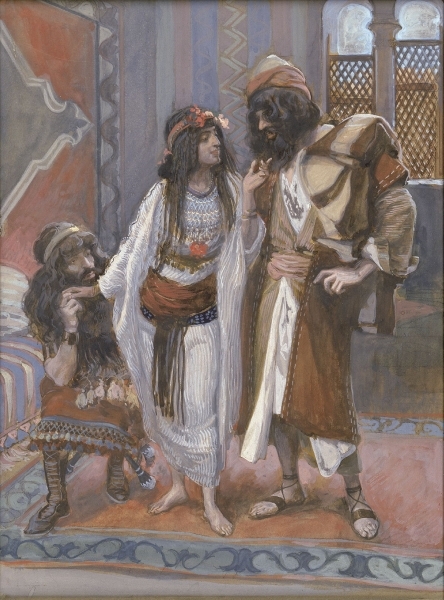 Images: James Jacques Joseph Tissot, “The Harlot of Jericho and the Two Spies,” c. 1896-1902. 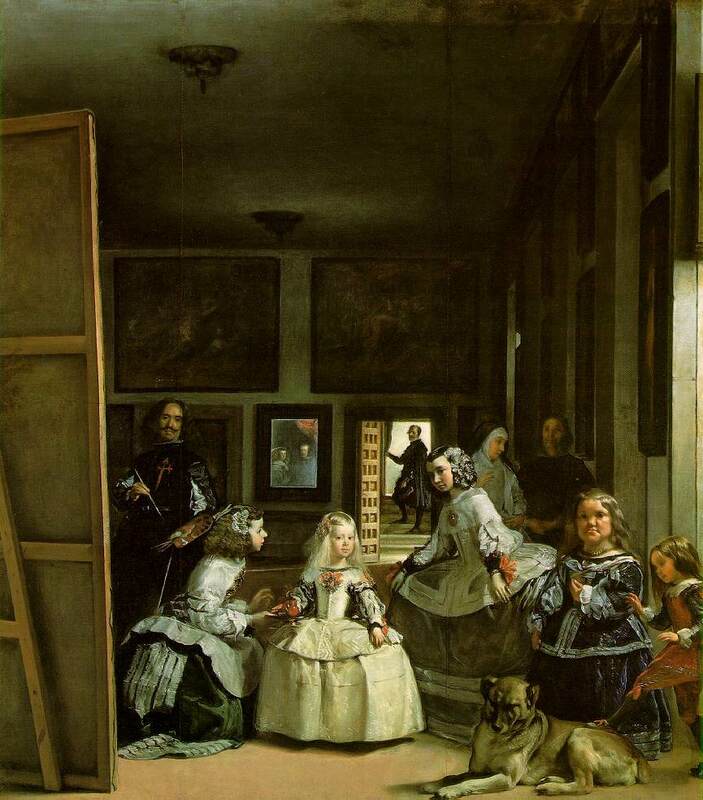 Diego Velázquez, “Las Meninas,” 1656–1657.